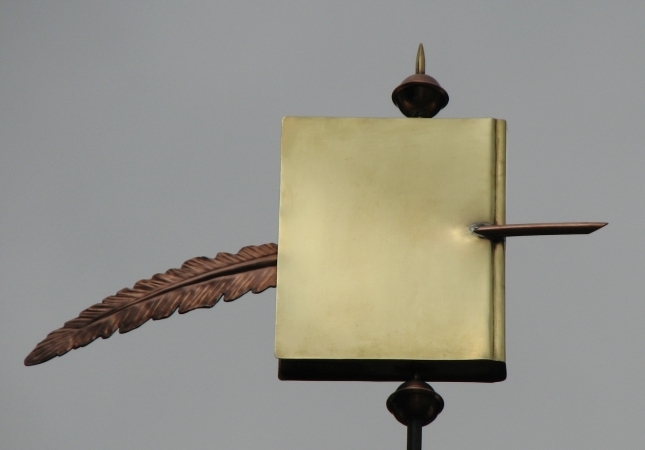 This Book Feather Weathervane appeals to the book lover in all of us and is a way to let others know about our passion for books. As shown here, the book was fabricated in brass, which creates a nice pairing with the brass directionals (north, south, east, and west). The feather and the small globe above the book are of copper. 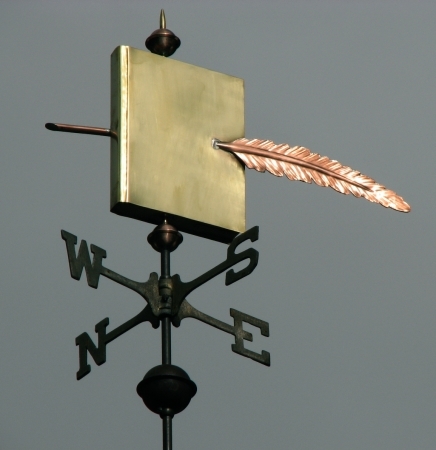 Because we create each of our weather vanes to order our customers can select the metal combination that appeals to them. We can even add optional gold leaf to create a title on the book if desired. 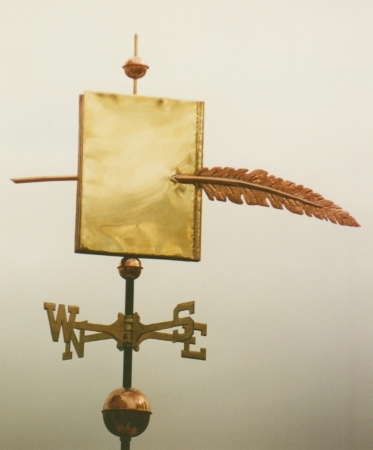 Historically, Weathervanes were used to help customers identify places of business. This vane is understandably popular with bookshops and libraries. 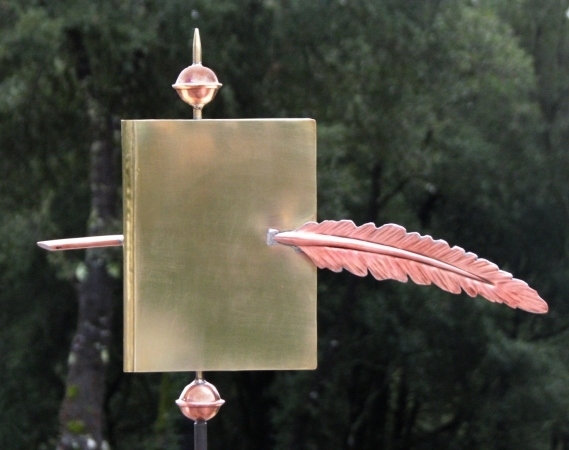 One customer for this Book Feather Weathervane was an avid reader and book author. This customer requested optional gold leaf accents on the book to keep it looking brilliant against the copper arrow as the copper and brass weather and patina. Books can be created to represent your individual tastes: perhaps a copper book with your favorite title / author accented in gold leaf. Our personal favorite for bibliophiles is our Bookworm Weathervane. It was inspired by our local university mascot, the University of California at Santa Cruz Banana Slugs. 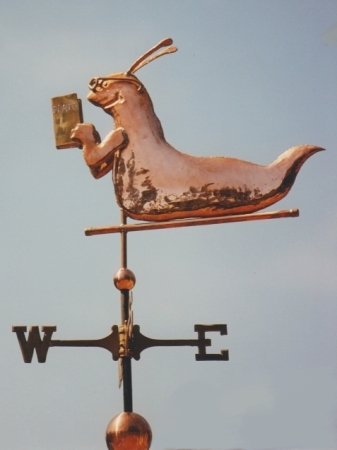 The Bookworm Weathervane shows the bookworm (banana slug) reading a book.